Staying true to its once-a-month release on the 10th, Tens Club’s latest drop features a beautiful Boca Juniors-inspired kit that honors football icon Juan Román Riquelme. The year is 2006. Argentina’s No. 10 wasn’t Lionel Messi just yet, but he was just as virtuosic and beloved. Juan Román Riquelme, considered by many as the world’s last true No. 10, patrolled the midfield with creative wonder, controlling countless matches with his superb playmaking ability. The central figure to an immensely talented Argentina squad that changed the way the game was played, Riquelme would turn in one of his finest performances in a 6-0 rout of Serbia and Montenegro during the 2006 World Cup — the last he’d ever play in. The match featured one of football’s most iconic goals — a 25-pass slice of brilliance finished by Esteban Cambiasso — to go along with the first World Cup goal from a then 18-year-old Messi, and has since been etched into the annals of the sport’s history as one of its most memorable games. 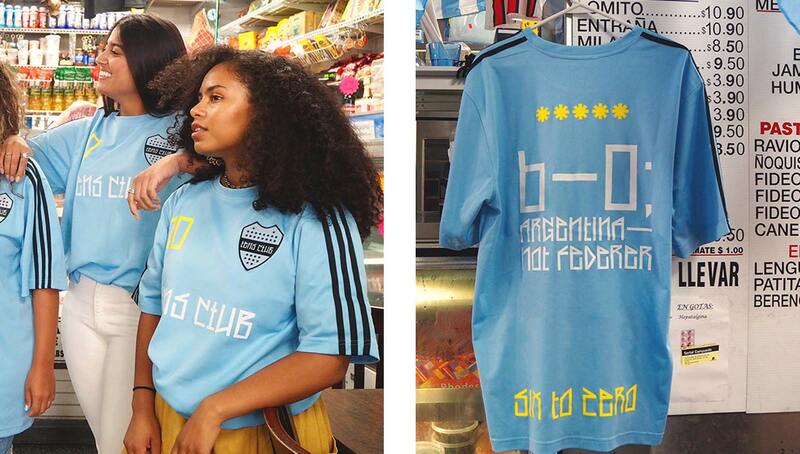 Honoring the game and in turn Riquelme’s wondorous career, New York City-based football creative collective Tens Club’s latest release features a jersey heavily influenced by the Argentine national team and Boca Juniors, the club Riquelme spent the majority of his career on. 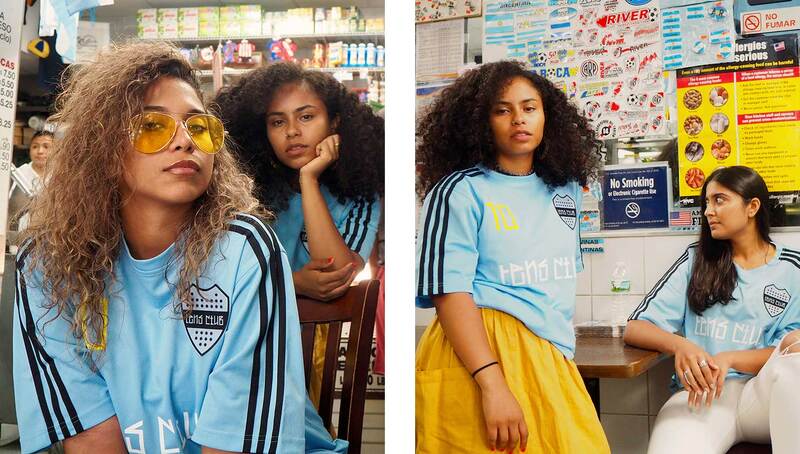 The jersey, draped in Argentina baby blue, features “6-0; Argentina — Not Federer,” on the back, a nod to a newspaper headline that pointed out the lopsided score’s resemblance to that of a tennis match. 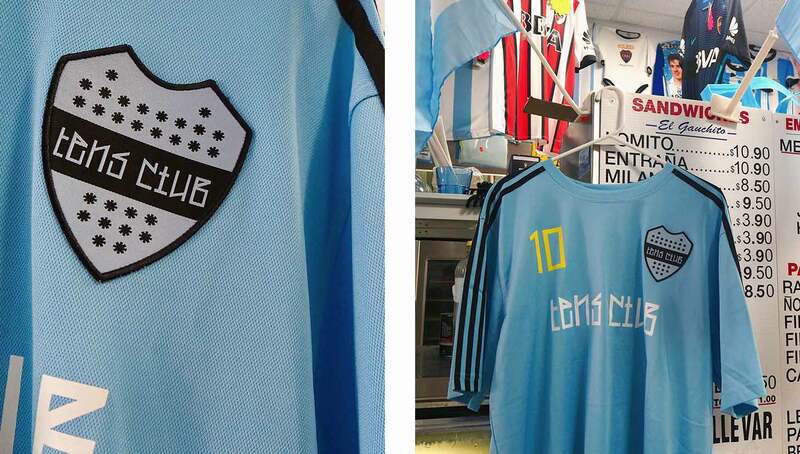 On the kit’s front is a Boca Juniors-inspired patch and of course, the club’s signature No. 10. 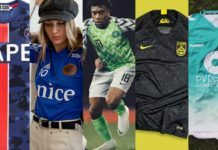 Once again, Tens Club has created a striking and original capsule that is sure to resonate with football lovers and fashion mavens alike. 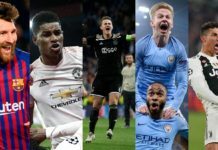 It’s alarmingly evident that they have not faltered one bit in terms of finding clever ways to pay tribute to the storied history of the beautiful game. 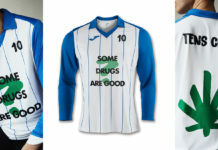 The Tens Club “6-0; Not Federer” jersey is available now exclusively through their newsletter. If you haven’t already, you can subscribe via their website. Photography by RAVR for Tens Club.